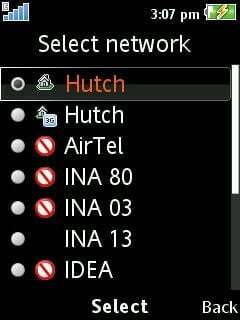 After Airtel and Reliance (RCOM) 3G Signals in various parts of states, Now TelecomTalk readers from Noida and New Delhi telecom circle have started spotting Vodafone 3G Signals/Test Signals which acquired 3G spectrum in 10 circles – Delhi, Mumbai, Chennai, Kolkata, Maharashtra, Gujarat, Tamil Nadu, Haryana, Uttar Pradesh (E) and West Bengal. 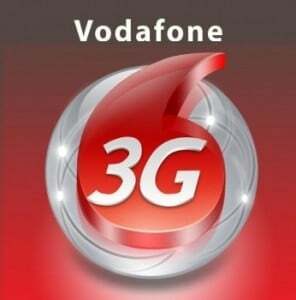 According to the official statement by Vodafone, The operator will launch 3G Mobile and Data services in the first quarter of 2011 (expected in end of January 2011). “Our approach is to give our customers a world class experience and hence we will launch when a significant part of the cities is covered by our 3G network”, said Marten Pieters, MD, Vodafone Essar. We’d like you to let us know if you have also come across Vodafone 3G signal in your area. Just follow the simple steps to find out if there is 3G services awaiting for you. 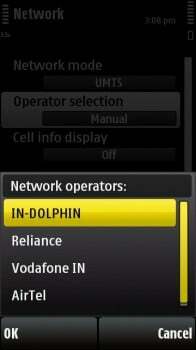 Get a 3G handset and go to phone settings > set Network Mode to WCDMA/UMTS > then search for Networks Manually > It is expected that u will have BSNL/Cellone/Dolphin (thats BSNL/MTNL) and Vodafone 3G if available.You can also email us screen-shots with your area name and we’d be happy to post them in this post. In Noida, Vodafone 3G signal was spotted by TT reader Irfan Ali Nawaz. I have a Vodafone 3G Connection in Bengal Circle Sim,using it at Bengal Area,and its working Fine,but at Kolkata Circle its not working properly..Please write if known..